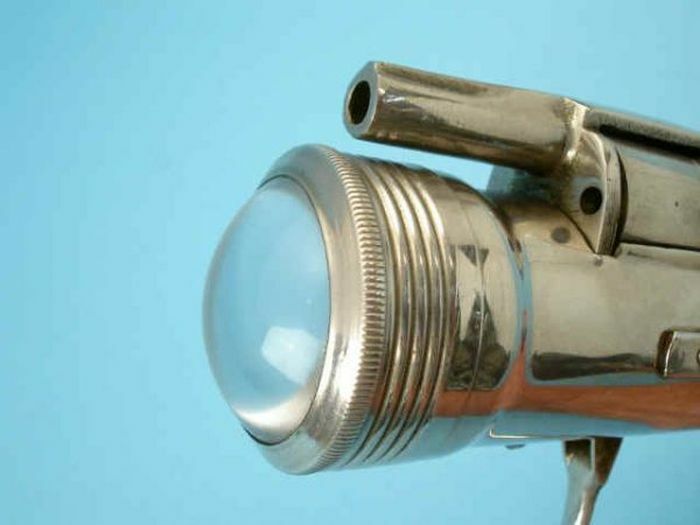 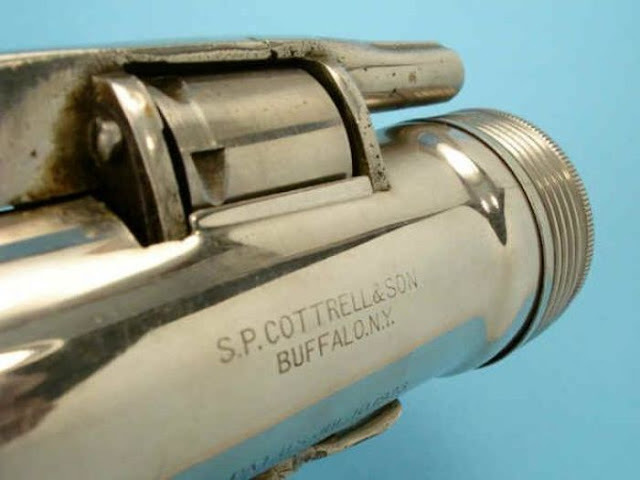 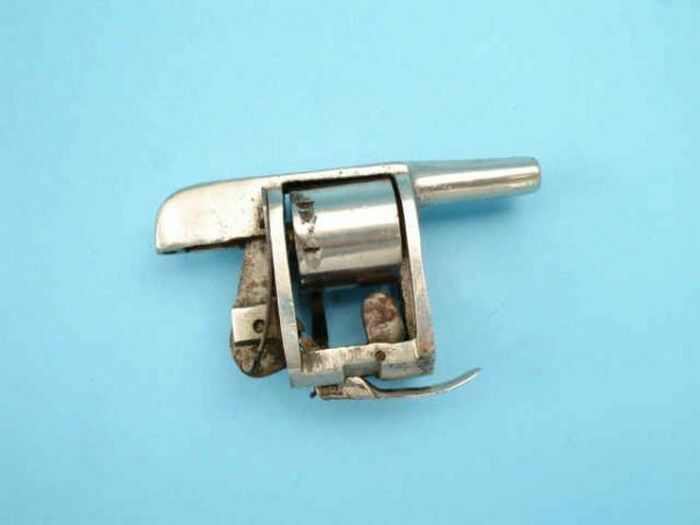 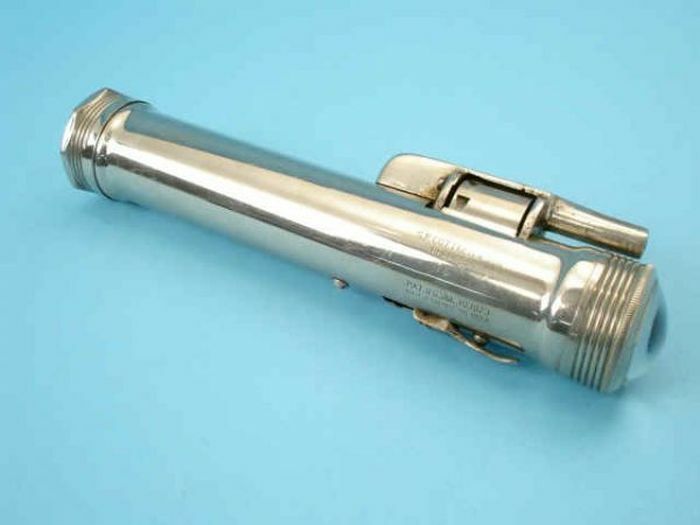 This flashlight gun was made in 1912. It's a flashlight with a revolver inside it. 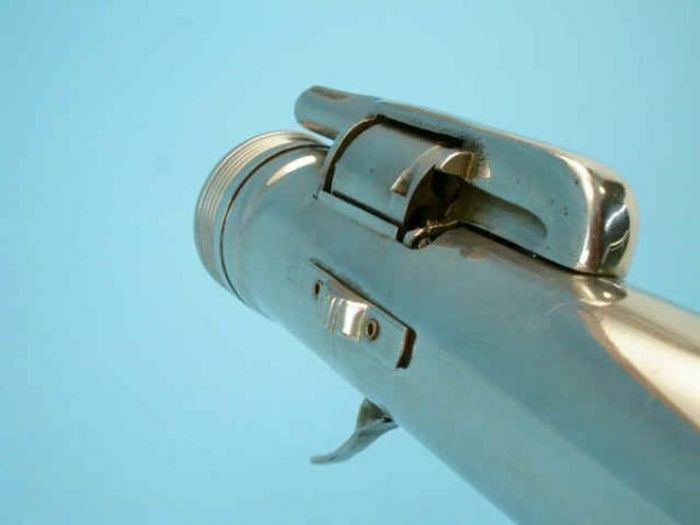 The gun has a seven round cylinder.